For all those parents, family members or fans of WHAC runners, we have a special deal for you! The club would like to create a special edition hoodie with the word “Supporter” printed on one sleeve. We will need at least 10 orders to make it work though. Please see below for more details. 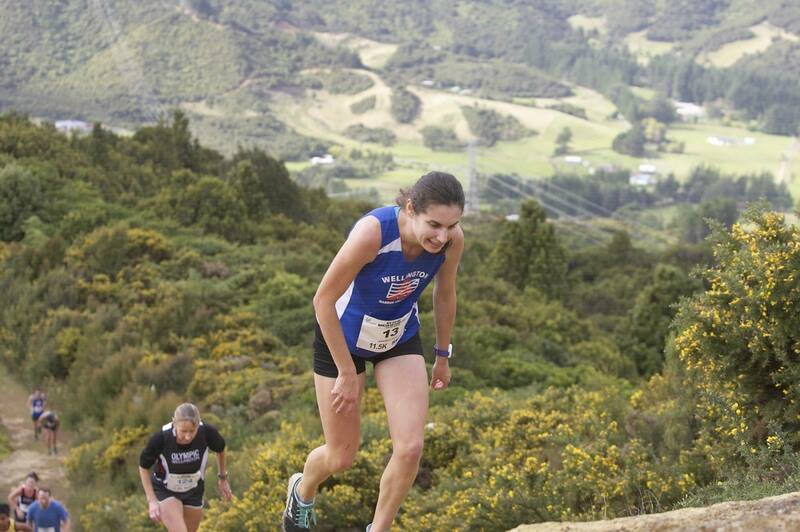 Congratulations to all those who competed in the New Zealand Mountain Running Champs in Wainuiomata on Saturday. There were some great results. Dan Clendon won the national M40 category, Nathan Tse was fourth senior man, and Andrea Peat was third senior woman. And well done to all those who ran in the club’s Donaldson Memorial Relay. It must have been a thriller, with the team of Pablo Miguel, Phil Starr, Gabrielle Healey and Akash Marks winning by one second over George Grey, Maria Revelant, George Matthews and Paul Hewitson. WHAC club member Quentin Rew became the first New Zealander to qualify for the 2020 Tokyo Olympic Games in Athletics over the weekend in Wajima, Japan. Quentin met the 50km Race Walk entry standard of 3:50:00, recording a time of 3:49:48. We have the Easter H10 this Sunday. We need helpers and pacers. So far Stu has put his hand up to do the 40 min group and Ravi has kindly offered to pace the 55min group. So we are still looking for 45, 50 and 60 min pacers. All offers of help and pacing gratefully accepted. While most club members stayed in Wellington to compete in the national mountain run champs, four ventured north to Waiterere Forest for the half marathon. Letha Whitham and Sophie Lee came second and third among all women, behind a scorching run of 1:05:28 by Claire Mortelier of Wellington, who finished almost 15 minutes ahead of the first man. Conditions were very cold at the start, but sunny. The course was a mixture of pine-needle covered road and exposed forest road, as well as some sand track and farm track, all of which was mainly flat but with undulations to keep it interesting. On Sunday 28 April at Wellington’s Hataitai Park, people will take to their feet to help raise funds for orthopaedic research – why not join them! The Walk for Wishbone is run by the Wishbone Orthopaedic Research Foundation, part of the New Zealand Orthopaedic Association. Your support will help fund vital research into improving surgery and treatment for joint replacements reducing pain, broken bones, bone infections and cancers, congenital disorders and sports injuries. The Athletics Wellington board are asking for expressions of interest for the roles of chairpersons of the three athletics subcommittees: Junior Track & Field, Senior Track and Field, and Cross Country and Road. The main purpose is for the board to oversee the appointment of the committee chair and approve that each club has a member on each committee. The tenure of the committee chair is for a period of two years and, once appointed, the chair will then appoint the respective committee members. For a charter of the requirements and role descriptions, please email Melissa Black at secretary@whac.org.nz. 1. Club day encompasses all day Saturday. We would have an agenda of running sessions and events for the day. 2. Saturday pack runs from the club in the afternoon are advertised during the week, and include a delegated pack leader. Details of each run would include the distance and the intended running pace. 3. Have a trail running group. 4. Each section is delegated one Saturday each season to act as hosts to the rest of the club. The expectation is they would put on a theme, BBQ, guest speaker, afternoon tea etc. 5. Coaching Corner. A WHAC coach is on site at the clubroom each Saturday for a half-hour period prior to the start of pack runs to answer questions, advise, and give guidance on training goals and aims. If you have a view, idea, suggestion or example please let us know. During the season we will observe, listen and research ideas to assist addressing this objective and will look to implement initiatives during the season. The Objective 4 working committee is me (Terry Fraser) Kristy McDonald and Georgina Wedge. Please send us your feedback at Tfraser532@gmail.com: Kristy_whitelaw@hotmail.com; and Georgina@andersondesign.co.nz. Venue: Battle Hill Farm Park – Pauatahanui, Paekakariki Hill Rd, Porirua, Wellington. (6km north of Pauatahanui General Store). Course: 2km laps – cross-country. Grass, gravel tracks, mostly flat to undulating with one sharp uphill & downhill. Log jumps and a water jump. We are planning to place another order for hoodies, so this is your chance to get fitted in WHAC colours for the winter season. Prices still need to be confirmed, but are likely to stay similar to previous orders. Children’s sizes: 6, 8, 10, 12, 14 – about $50 each (add an additional $8 if you want your name printed at the back). Please note that the children’s sizes do not have a draw cord (it’s a health and safety thing). Adults’ sizes: Small, Medium, Large, XLarge, 2XL, 3XL – about $55 each (add an additional $8 if you want your name printed at the back) – they are a large fit so consider getting a size smaller if you prefer it fitting!!! For our supporting parents and other members, we would like to get a special edition with the word “Supporter” printed on one sleeve. We will need to get at least 10 orders to go ahead. The extra cost will be around $8-10 per hoodie. Please email Bertram if you are interested. Sunday April 21: 8 a.m. at Freyberg Pool. If all your mates are away and you are getting long weekend vacation Fear Of Missing Out, come run with the WHAC Trails & Ultra gang. This week we will have an option to do part of your run with the Honest 10k race and another group that will incorporate some trails. Stick around afterwards and post a selfie icing your legs in Oriental Bay while having a coffee. Staycations are better anyway. Congratulations to all, and apologies for any errors or omissions. Good luck to everyone competing over the next seven days. 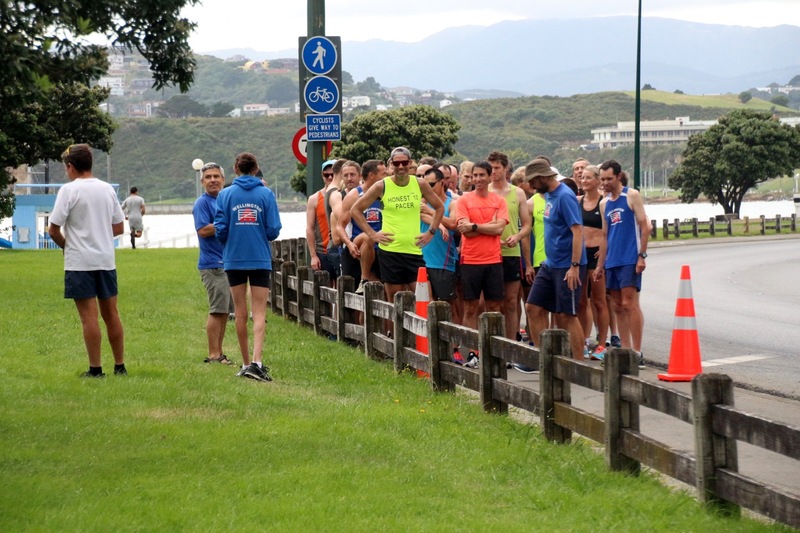 Check out the Running Calendar New Zealand for additional events. If you have ideas for the club or any questions, please contact a board member or the secretary, Melissa Black (secretary@whac.org.nz). Your board members are: Peter Rendall, Terry Fraser, Andrea Peat, John Barrance, Bertram Manz, Nathan Tse, Paul Hewitson, Julie Richards, Gordon Clarke, Kristy Macdonald, Melissa Black, Alex Jones, Hayden Snell, Callum Stewart and Georgina Wedge.